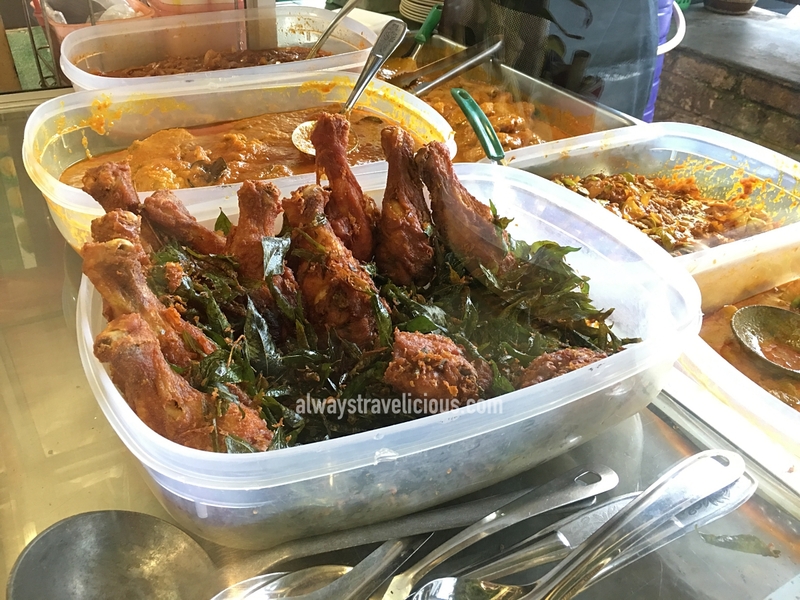 17 Hidden Food Gems You Must Try in Ipoh - Always Travelicious ! 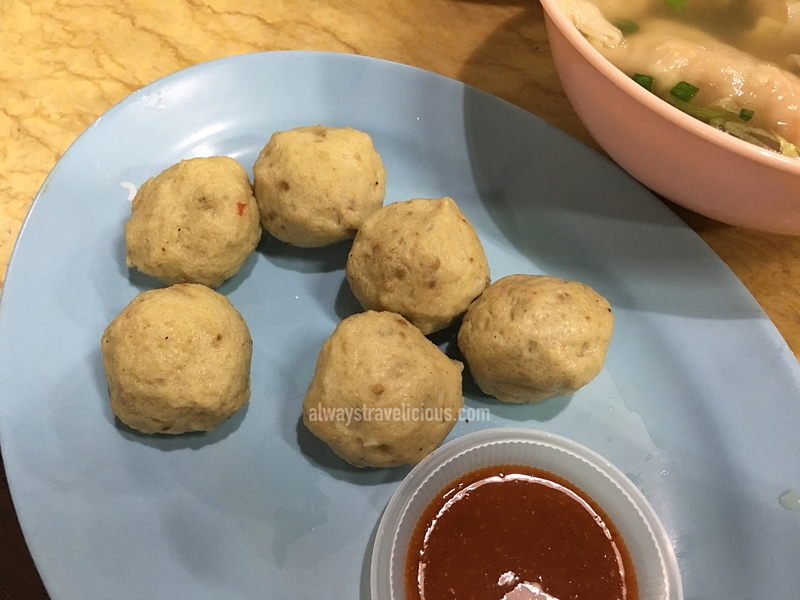 Not too long ago, I wrote a list of “15 Iconic Ipoh Foods You Must Try in Ipoh” that’ll serve well as a beginners’ guide to Ipoh food. 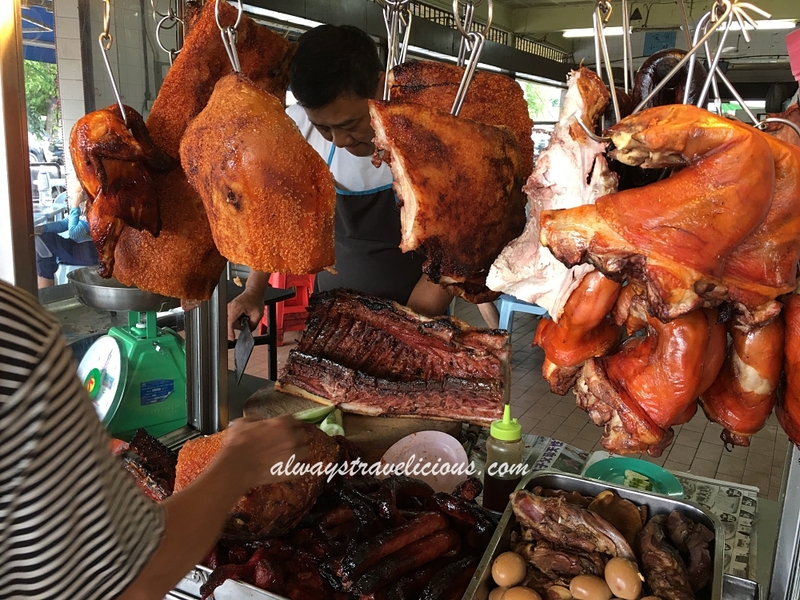 These foods are the most iconic and they are pretty much what everyone wants to eat when they are visiting Ipoh for the first time. But of course Ipoh has much more to offer than these 15 things. 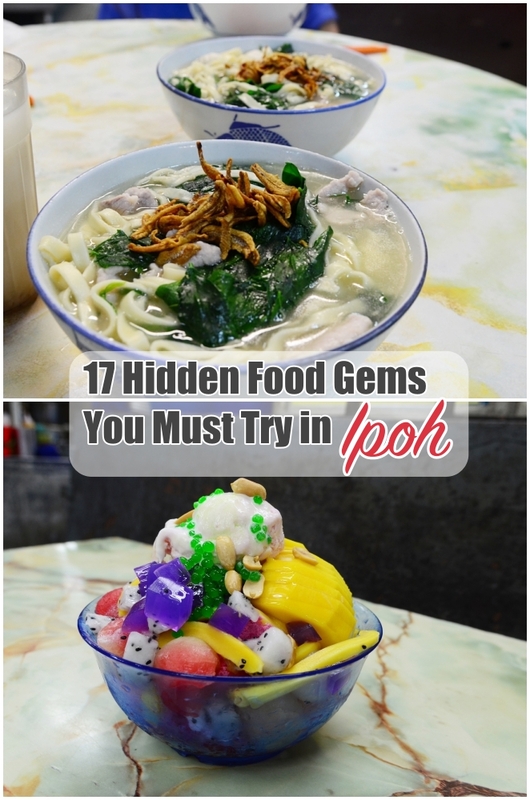 In this new list , I’ve put together 17 hidden food gems in Ipoh that are not too well-known by visitors but are absolutely loved by Ipohans, and you wouldn’t want to miss these 17 incredible things to eat in Ipoh. 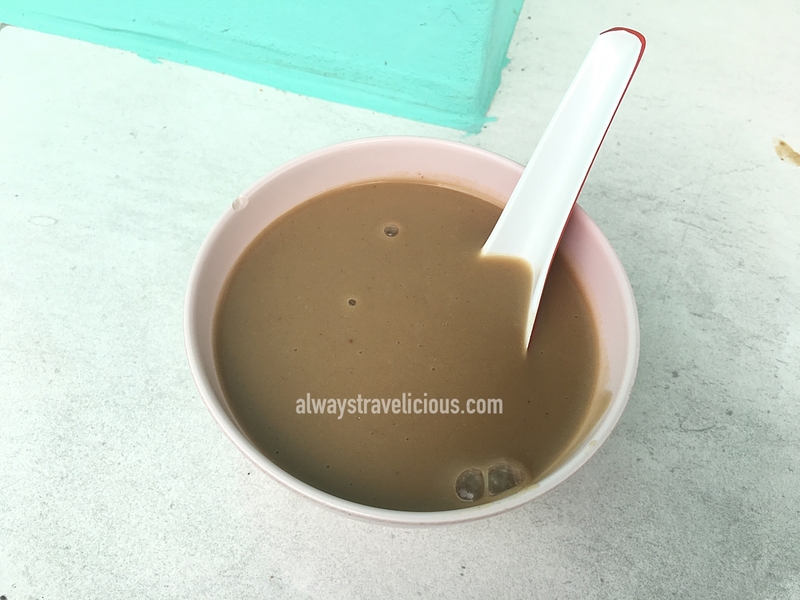 If you happen to need a place to stay in Ipoh for this epic food trip, check out the new Dream & Wander Homestay. The homestay sleeps 6-8 people and starts at RM 330 per night. Guan Heong began its business in 1918. Can you imagine, this biscuit shop will be 100 years old next year in 2018 ! The biscuit shop carries loads of traditional biscuits, such as wife biscuit, chicken floss roll, almond cookies, brown sugar “heong peah” and more. The signature biscuits include bean cake, macadamia cake and various kins of meat floss / “bak kwa” biscuits. 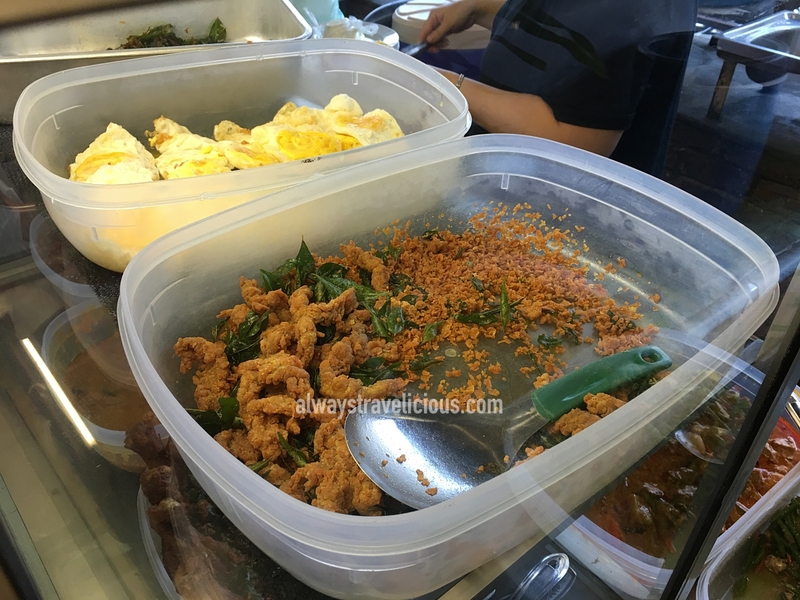 My favorite one is the meat floss biscuit with salted egg yolk, as the combination of savory egg yolk, fluffy meat floss and sweet lotus paste is simply scrumptious, not too mention that salted egg yolk makes everything better ! Address: Jalan Sultan Iskandar, Taman Jubilee, 30000 Ipoh, Perak. 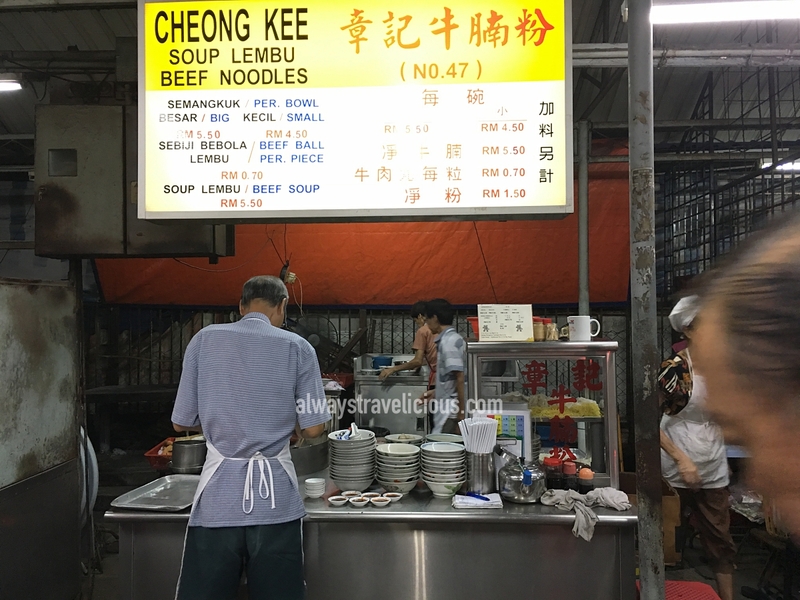 Cheong Kee Beef Noodles has been around for decades in Ipoh. 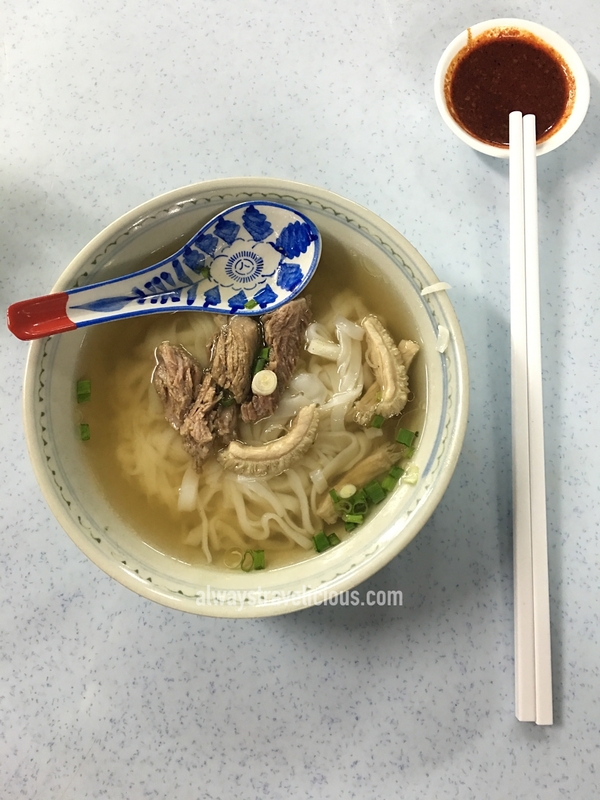 The bowl of noodles is a scrumptious treat that consists of very basic ingredients – koay teow noodles, beef, cow stomach, broth and chili sauce. The light broth makes the biggest impression because it has a hint of sweet taste with an alluring beefy flavor. 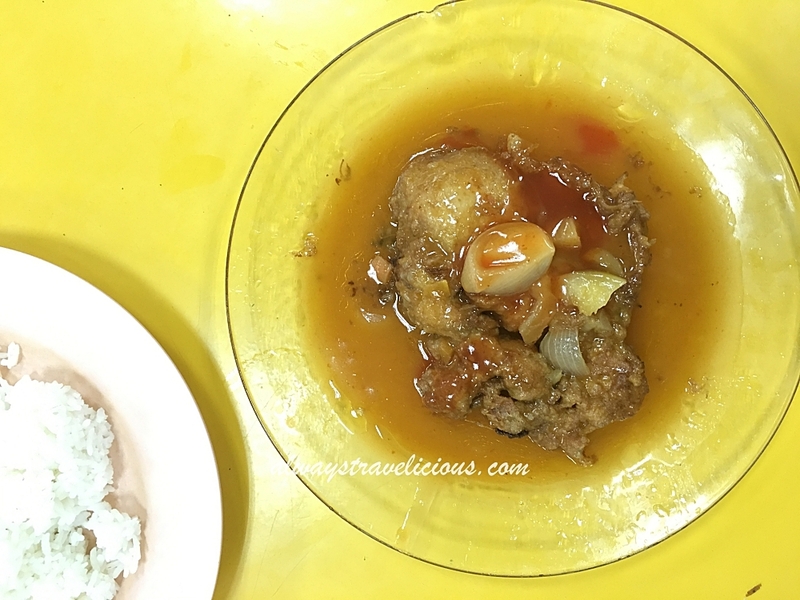 The chili sauce is unexpectedly exotic as it is not the typical Malaysian chili sauce that you would expect in a hawker stall. It contains spices that are commonly used in Sze Chuan cuisine and has a bit of nutty flavor. You might want to visit the stall soon because the owners that run the store are getting old and they are already not opening as regularly as they should. Address : Jalan Sultan Ekram, Taman Jubilee, 30300 Ipoh. Opening Hours : from 5.30 pm. Peak lunch times are typically between the hours of 12 pm to 2 pm. 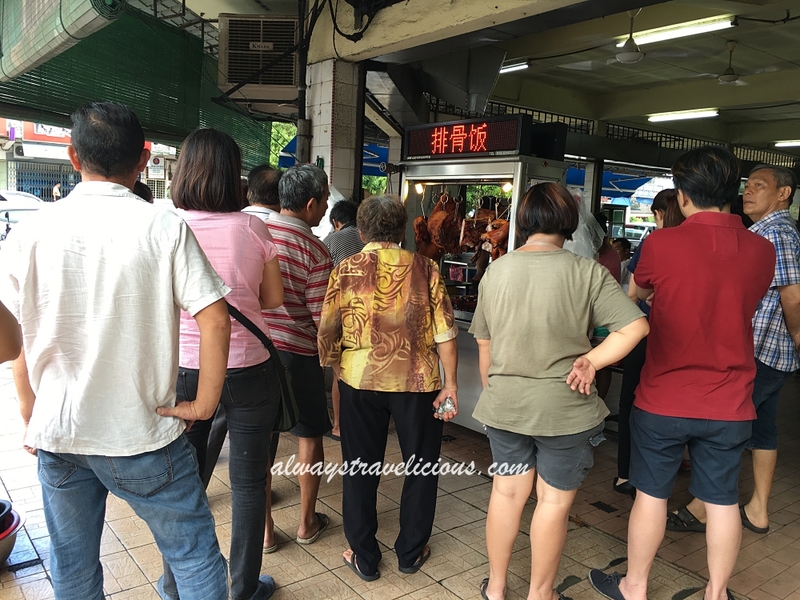 At Chee Kong Roast Pork, the store defines its own hours because it opens at an odd hour of 2 pm, when most people would have already taken their lunch. Patrons that visit the coffee shop are obviously regulars and are well aware of the opening hours because at 1.50 pm, the coffee shop has almost no people in it but by 2 pm sharp, the queue starts to form in no time. As for the pork, the crackling skin and lean, succulent meat are obvious reasons for the dedicated crowd. Opening Hours : 2 pm onwards. Closed on Mondays. 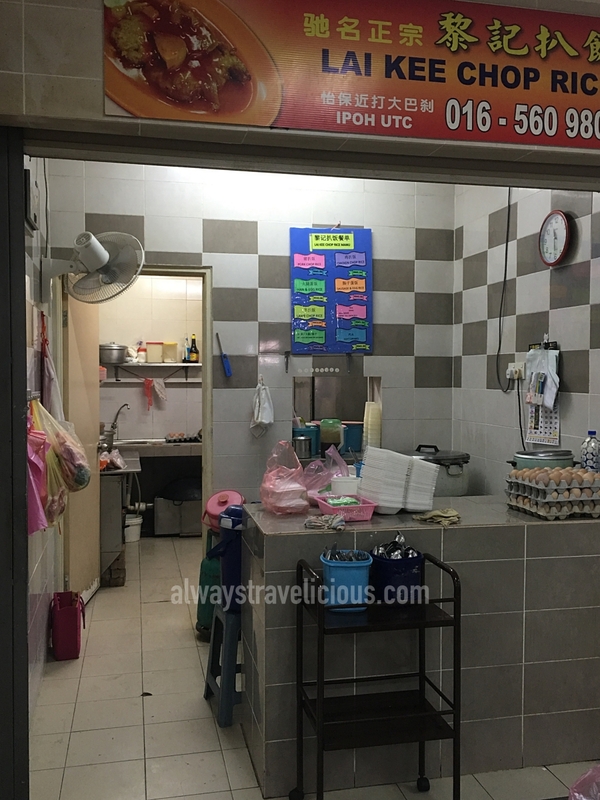 The stall located at the Gunung Rapat Area only serves two kinds of pan mee – dry or with soup. Not many people know about this place except for locals living in the area. 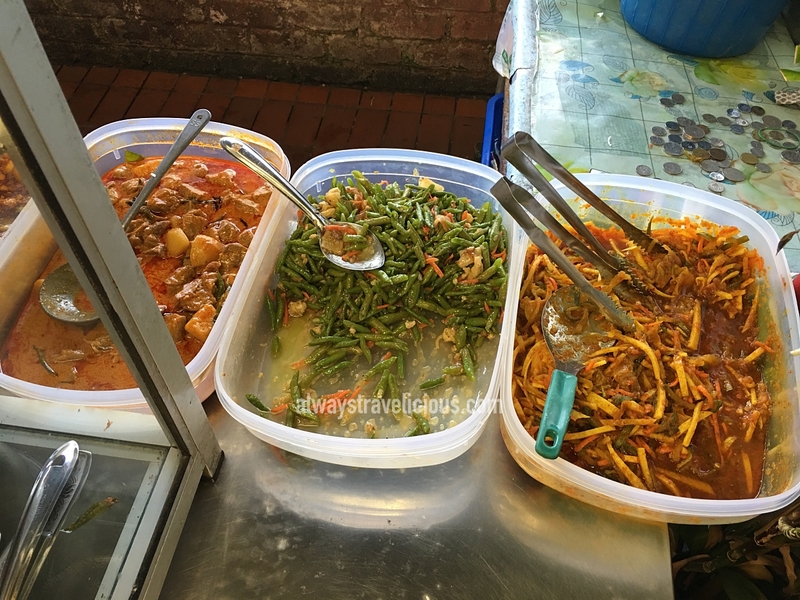 I have always eaten the soup version at this stall, which is a hearty bowl of flat noodles with generous ingredients of crunchy anchovies, tender pork pieces and sayur manis (RM 5). Then one fine day (after many years of eating at the place), I decided to try the dry version, then there was no turning back. 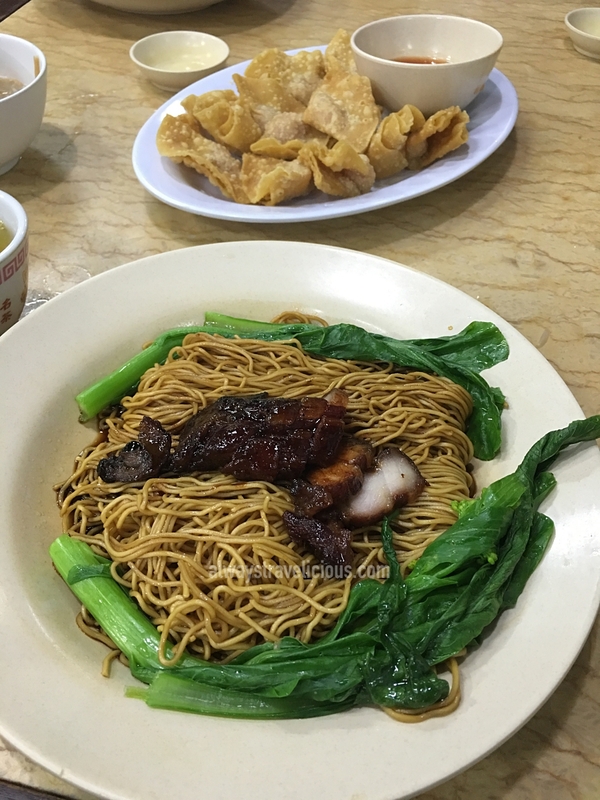 For the dry version, round noodles are used and the texture is one of the best I have tried – springy, chewy – I could happily chow down the noodles on its own. If you are there after 6 pm, expect to wait at least 30 minutes. 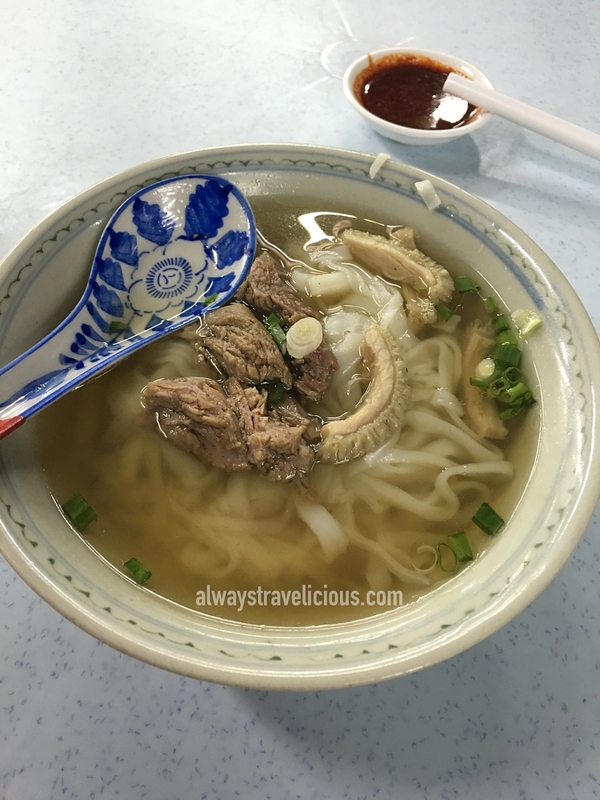 Find out more about Fook Kee Pan Mee here. 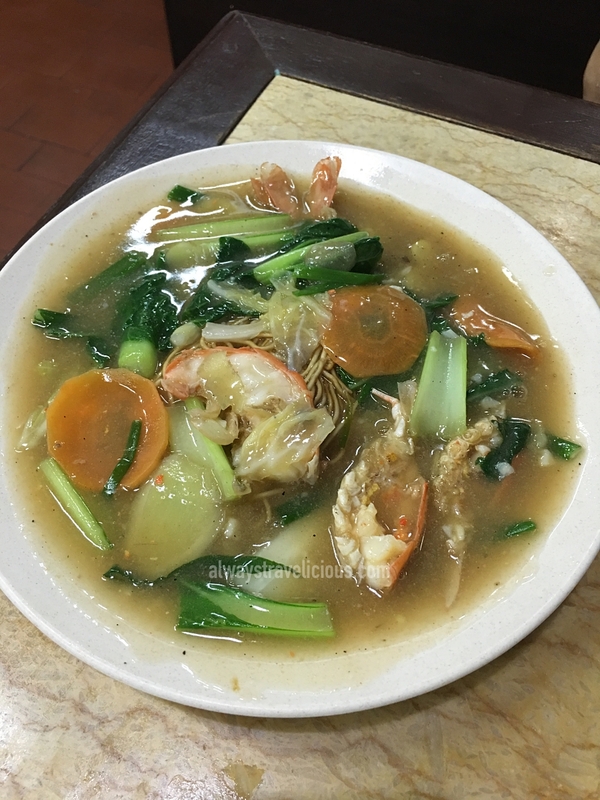 Address: Chung Hwa Restaurant, Taman Ipoh Jaya, 31350 Ipoh. Openign Hours : from 5.30 pm. 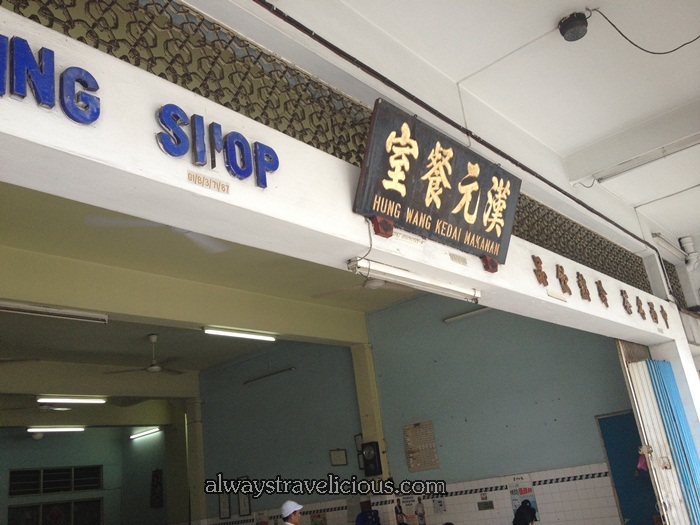 Established in 1983, Lai Kee Chop Rice is a place where many Ipohans have been eating since young. The chicken chops and pork chops are coated in an eggy batter and deep-fried till golden, creating little air pockets in the deep-fried batter that soak up the gravy and the tomato sauce effortlessly. Perhaps the older generation try their best to keep prices low, our meal of one pork chop, one chicken chop, two rices and two Chinese tea was at only RM11. 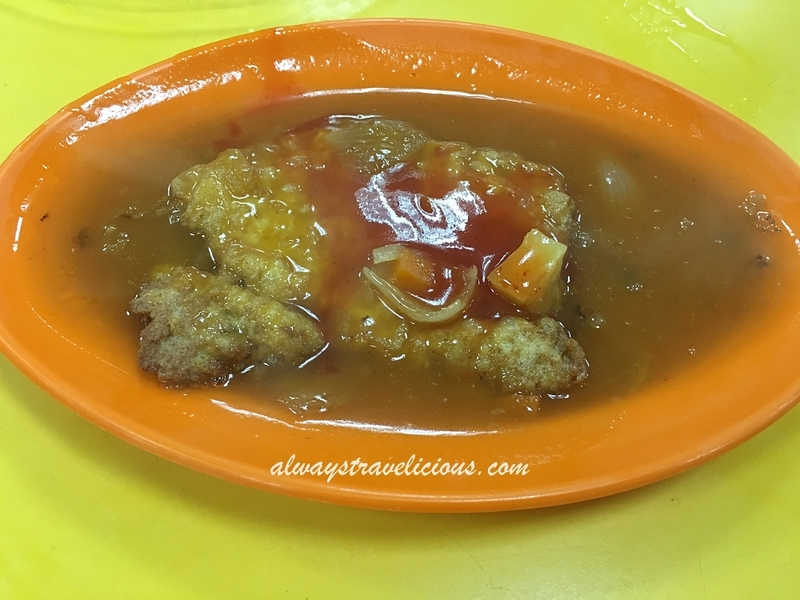 The flavors of the chicken chop and pork chop remain unchanged for the past 30 years and some even refer to this as flavors of childhood. A visit to Lai Kee Chop Rice always brings one on a trip down memory lane, when there was no UTC, when Super Kinta was a favorite hang out place, and when there was still Mc’Donald’s across the street. Address : Bangunan UTC Perak，Off Jalan Dato’ Onn Jaafar 30300，Ipoh. Opening Hours : 10 am – 5 pm. Normally I control myself and I don’t eat too much rice for dinner. But all that self control was lost when I ate the Nasi Pandan at Restoran Kam Wan (also known as “Dong Gu Ting”). The rice is laced with coconut milk and as you can see from the picture, the rice is green from shredded pandan leaves, resulting in an amazing pandan aroma. The stall operates on a economy rice model, where you line up, wait for your turn and choose the dishes you want. The fried chicken is the popular one in which most people chose before me. 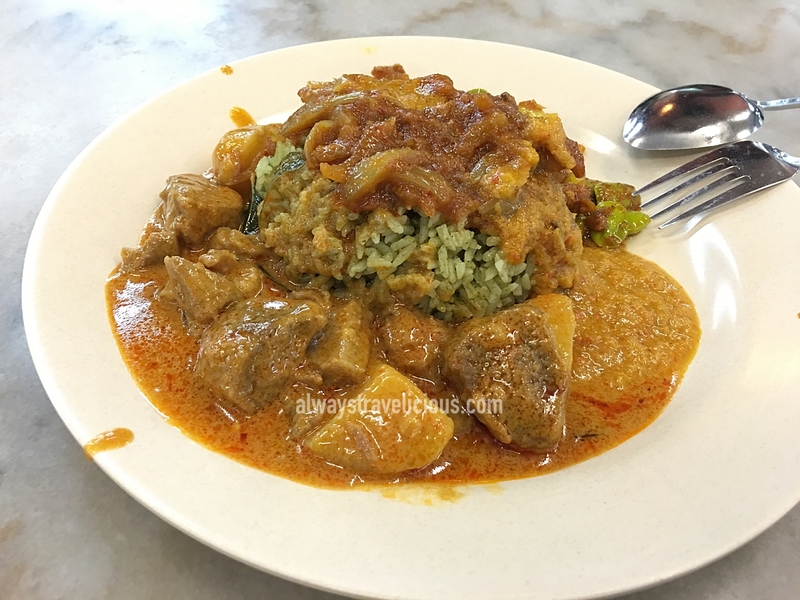 I went for the pedai, mutton curry and sambal (RM 13). 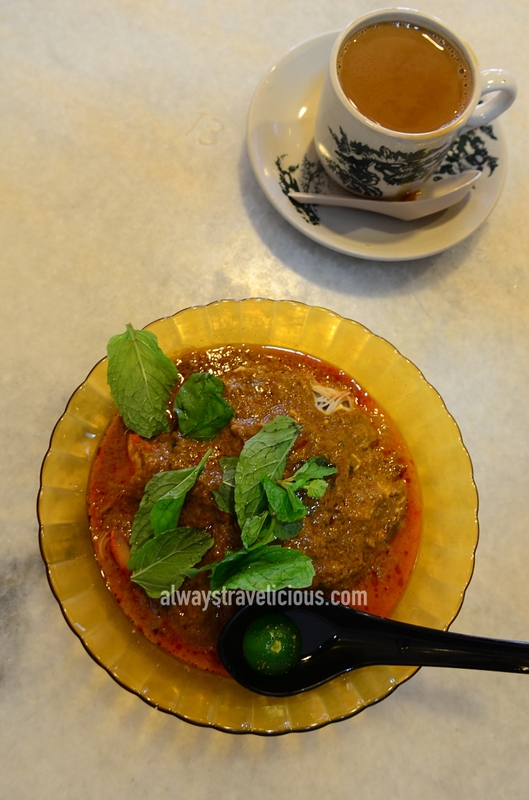 The mutton is melt-in-your-mouth tender; the pedai is superb, while the sambal has hints of refreshing lemongrass. Be there early because it’s sold out by 8pm. 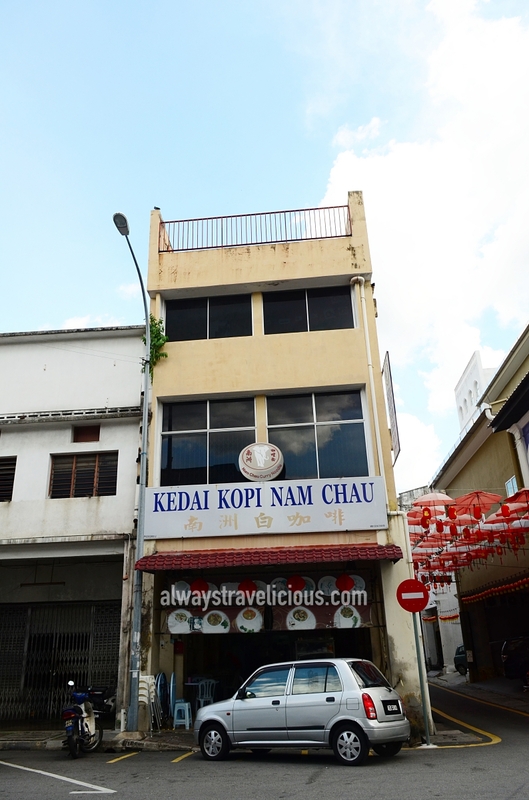 Address: Restoran Kam Wan, Ipoh Garden, 31400 Ipoh, Perak. Opening Hours : 6 pm onwards. 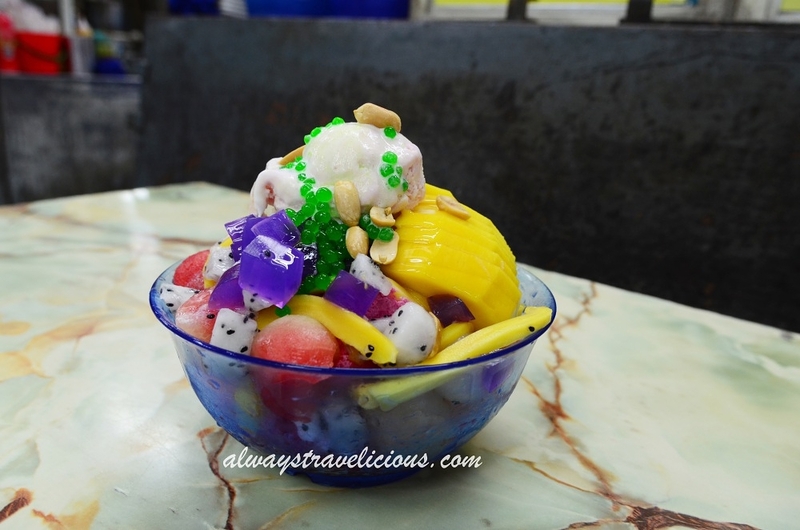 Many drink stores at Tong Sui Kai serve this mouth-watering dessert and each store has its own variation of fruits, jelly and ice cream that they use. Regardless of what ingredients are used, the end-result is always a delightful bowl of instagram-worthy fruit-tower on shaved ice. Opening Hours : 6 pm to 2 or 3 am. 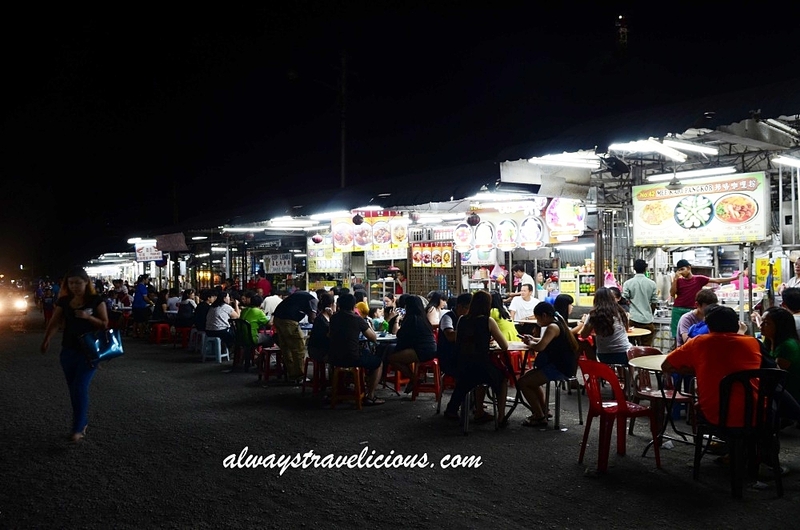 Hong Kee’s business began at the roadside of Jalan Queen in Pasir Pinji as a hawker pushcart more than 30 years ago. Business is obviously going well for them as now they have upgraded to a permanent kiosk. 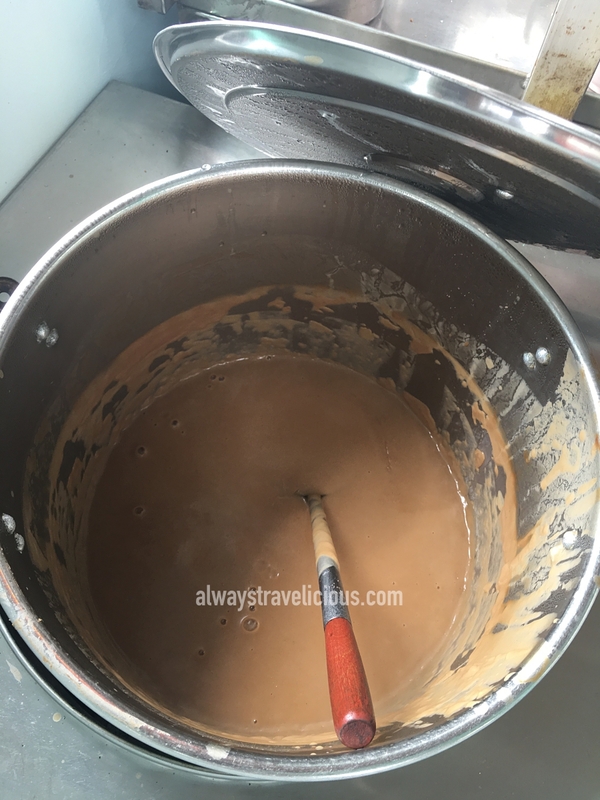 Everything is house-made, from pounding the glutinous rice into chewy mah chee to the grinding of the peanuts to make the creamy, rich peanut soup. Address : 550A Jalan Queen, 31650 Ipoh. Opening Hours : 1 pm to 6 pm. Closed on Thursdays. 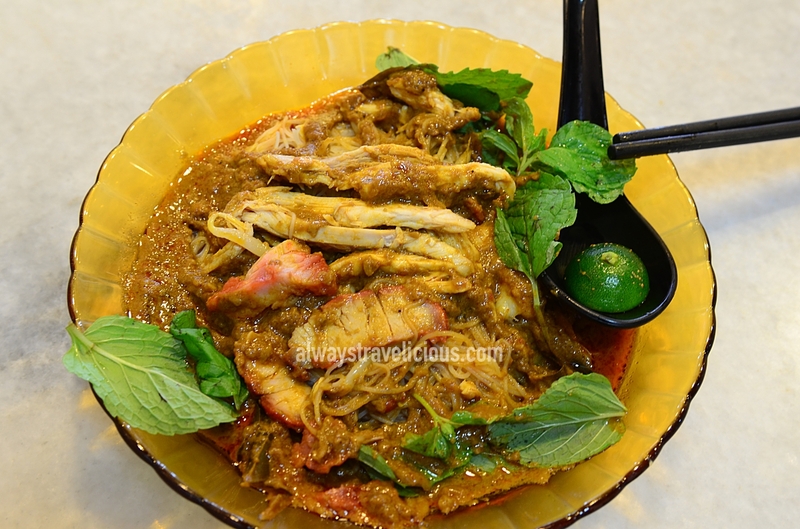 Nam Chau serves both dry and soup version curry noodles, with the dry version easily being one of Ipoh’s best. A big scoop of viscous curry paste smothers over the plate of noodles, ensuring that there’s a fiery curry taste with every mouthful. I’ve also pushed away some of the curry paste so you could see what’s buried underneath – chicken, char siew and prawns. Address: 54, Jalan Bandar Timah, 30000 Ipoh. Opening Hours: 7 am – 3pm. This noodle stall has a glamorous name for its noodles – “Golden Noodles”. 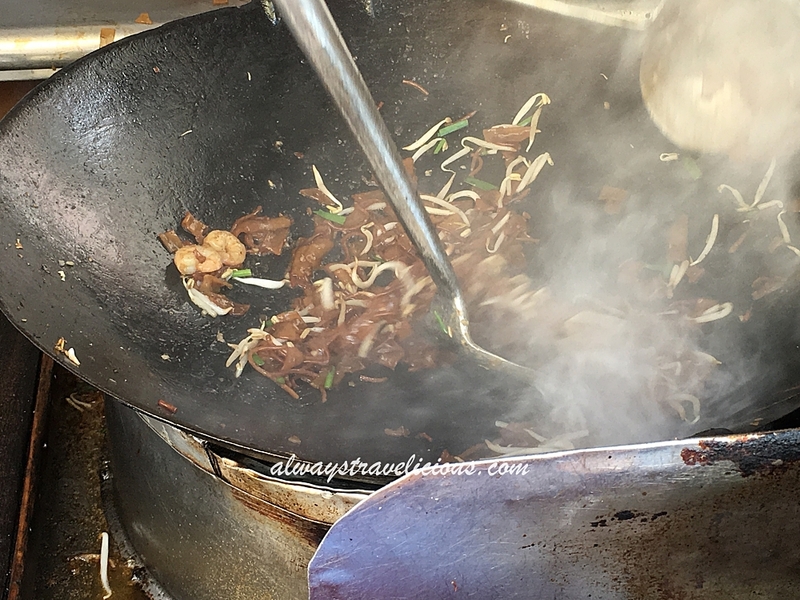 These noodles are full of “wok hei” and are very similar to char koay teow . The only difference it has is that the egg is laid on top of the noodles like an omelette instead of being stir-fried into smaller pieces. Amusingly, locals sometimes mock the noodles as being literally made of gold because the noodles are pricey for the small portion served. Opening Hours : 7 am – 3 pm. Closed on Tuesdays. 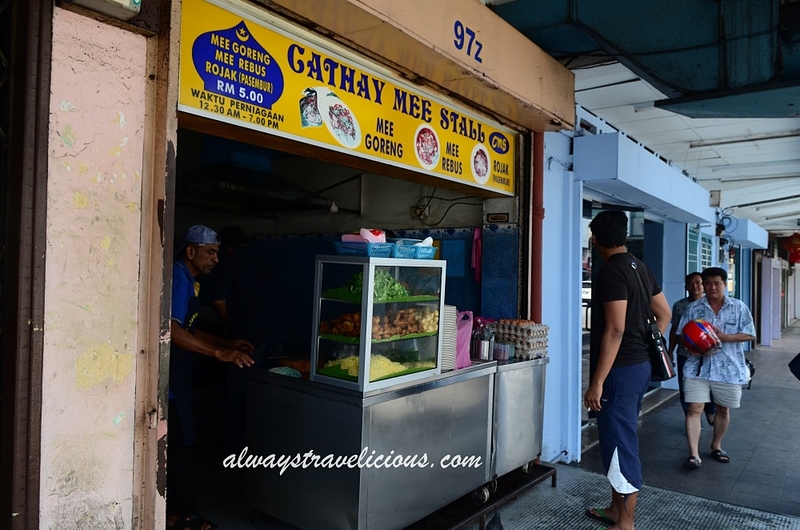 My friend SF introduced me to Cathay Mee Stall’s “die-die-must-eat” mee goreng. True enough, the noodles are impressive with a smoky flavor; they are also extremely spicy that I needed to keep drinking water to reduce the spiciness. 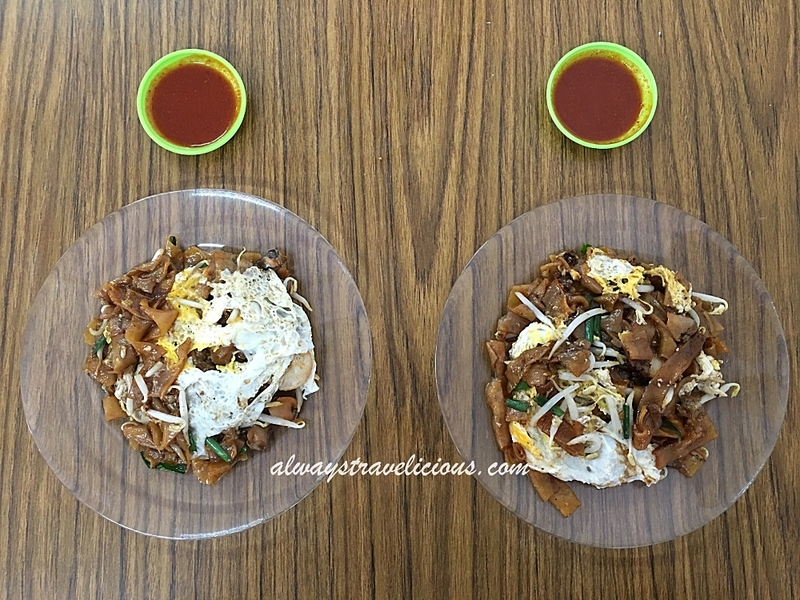 The mee goreng is not your typical mamak mee goreng; it is more like rojak mee goreng, using potatoes, tofu, prawn fritters with a squeeze of lime. The prawn fritter is the best part because it is super-crunchy ! 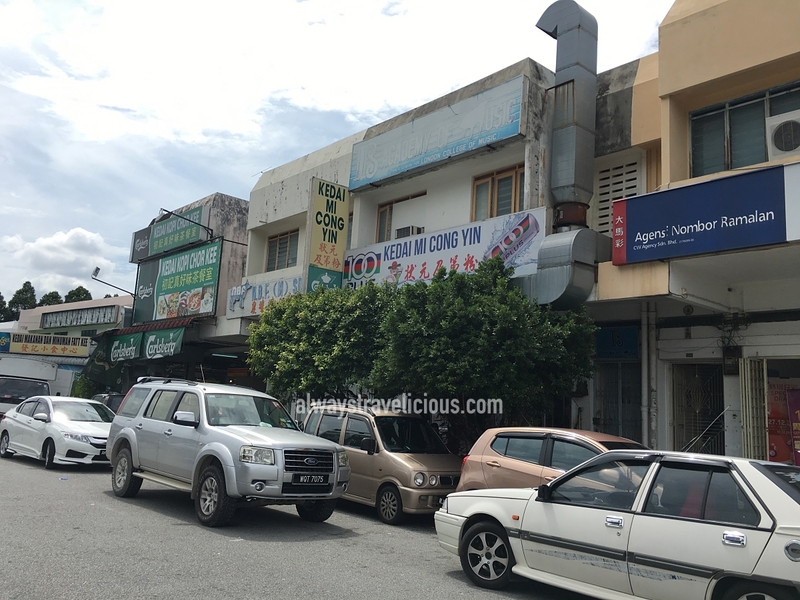 Address: 97 Jalan Yang Kalsom, Ipoh. Opening Hours : 11 am – 8 pm. Closed on Sundays. For a meal of pork noodle extravaganza, Cong Yin would be the place to go. 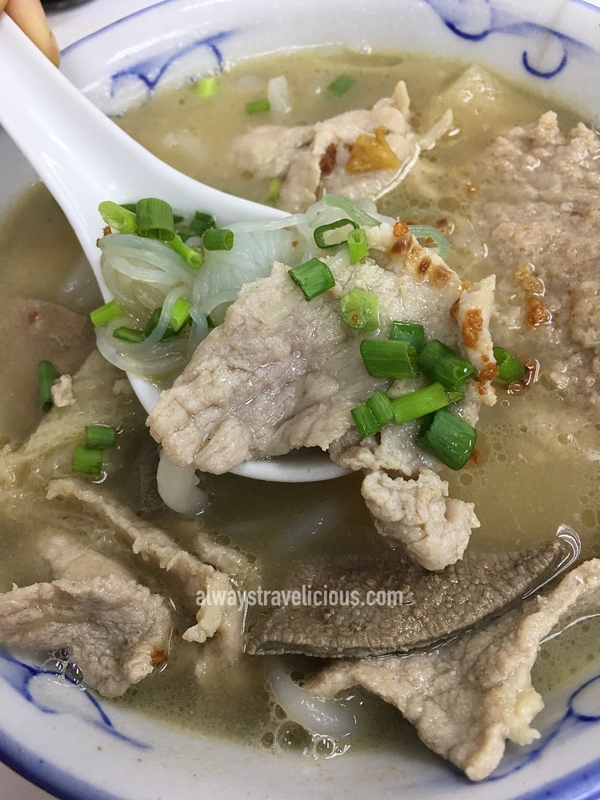 At RM8, the noodles are prepared with an abundance of ingredients including lean pork, pork patty, pork liver, bamboo fungus, konjac and pork lard. 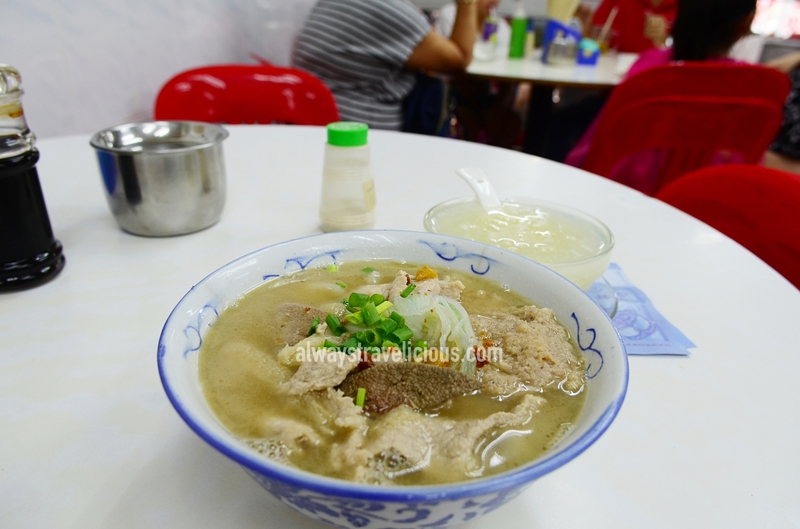 If you are looking for an even more lavish bowl of pork noodles, abalone pork noodles are available at RM 22.80. On Sundays, there is also a special edition of pork stomach noodles. Opening Hours : 7.30 am – 4 pm. Would you just look at this plate of curry noodles ? Every ingredient on this plate is top notch – fresh prawns, shredded chicken, and “siew yok” (roast pork) that has just the right amount of fat with crunchy skin. 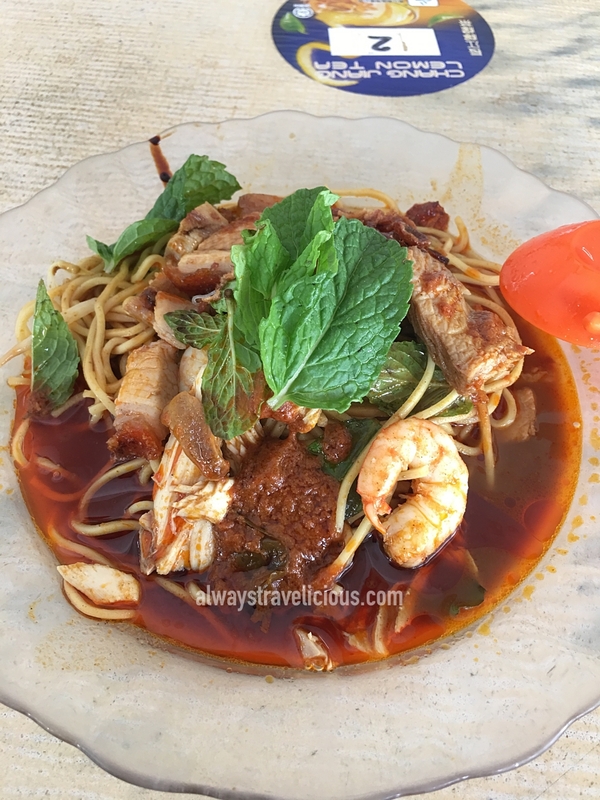 If you compare this to Nam Chau’s curry noodles, the curry flavor is not as intense but go for it if you love chunky siew yok in your noodles ! 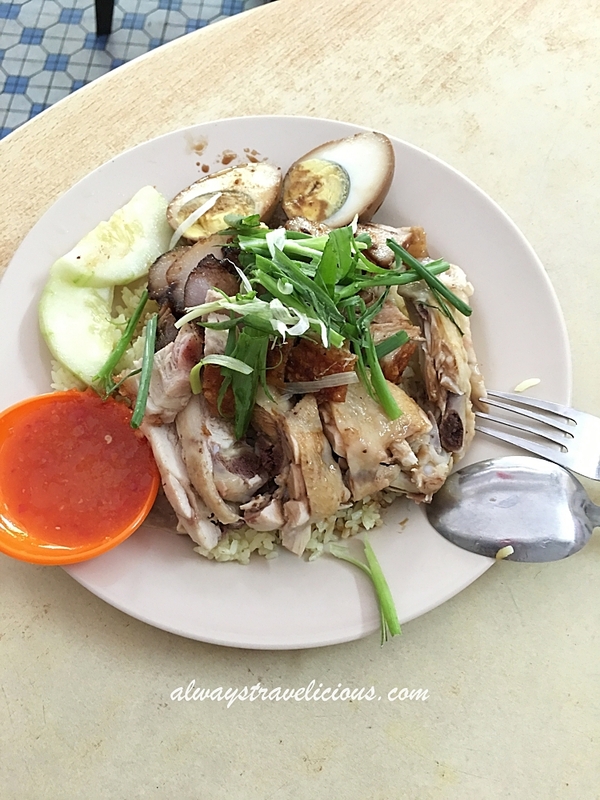 The same stall also serves Hainanese chicken rice that’s worth trying. Address: 83, Lebuh Ipoh (off Jalan Dato Lau Pak Khuan), Taman Canning, 31400 Ipoh. Opening Hours : 11.30 am onwards. 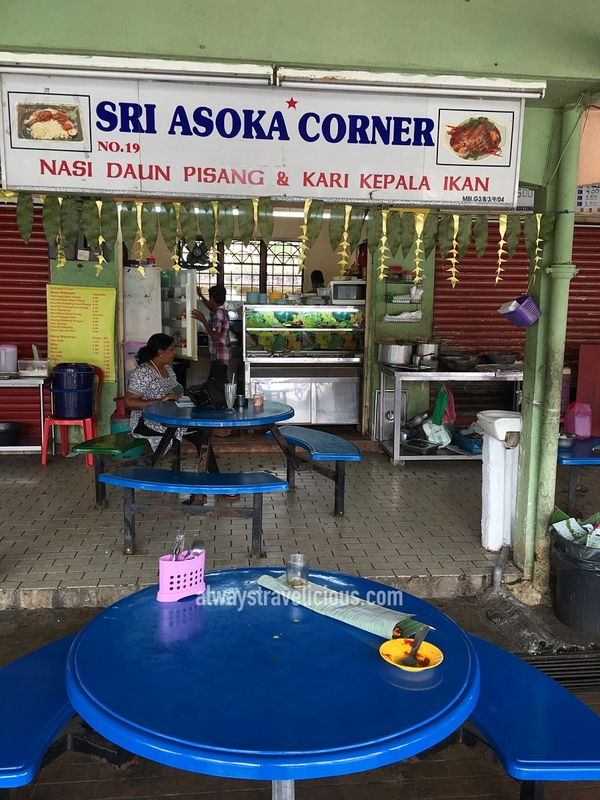 The tiny Sri Asoka Corner located in Medan Selara Stadium serves great banana leaf rice. 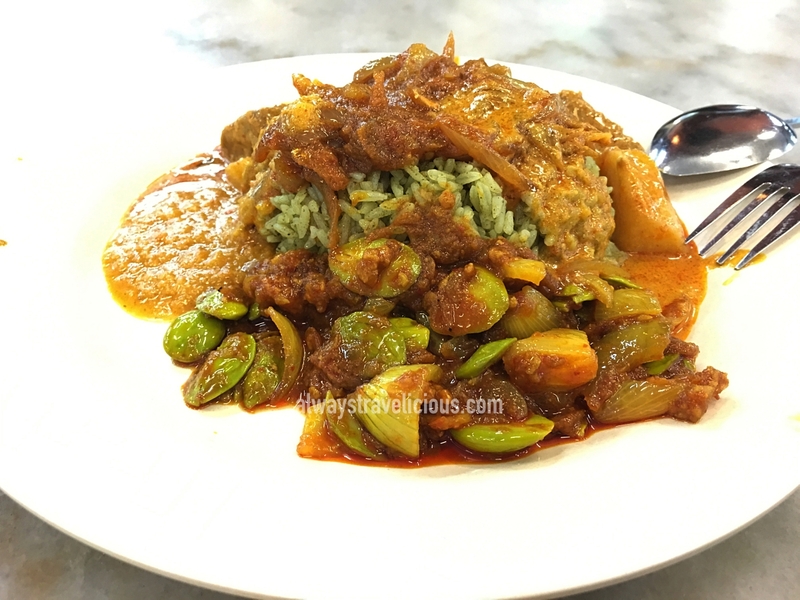 The rice is served with three kinds of vegetables, fresh crackers and your choice of meat ( chicken, mutton and fish). 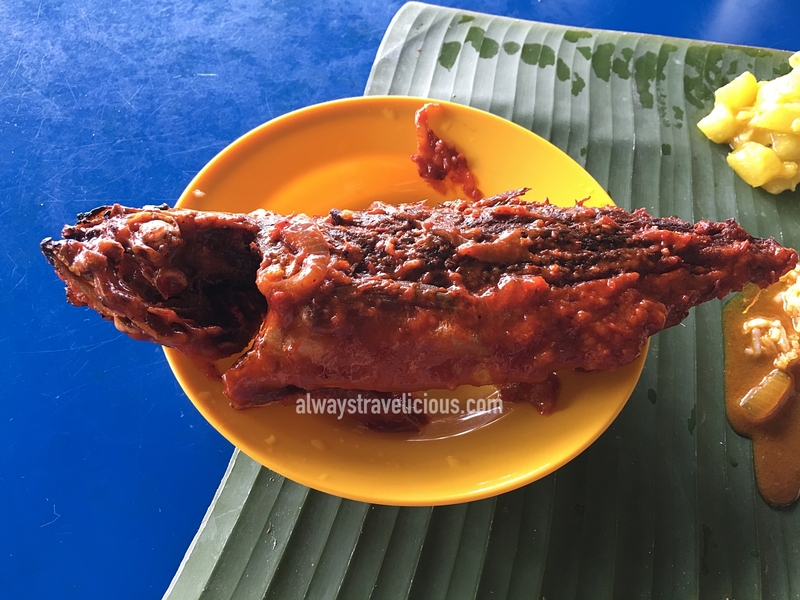 I went for the fried fish, which had a crispy outer shell and a generous coating of chili paste. 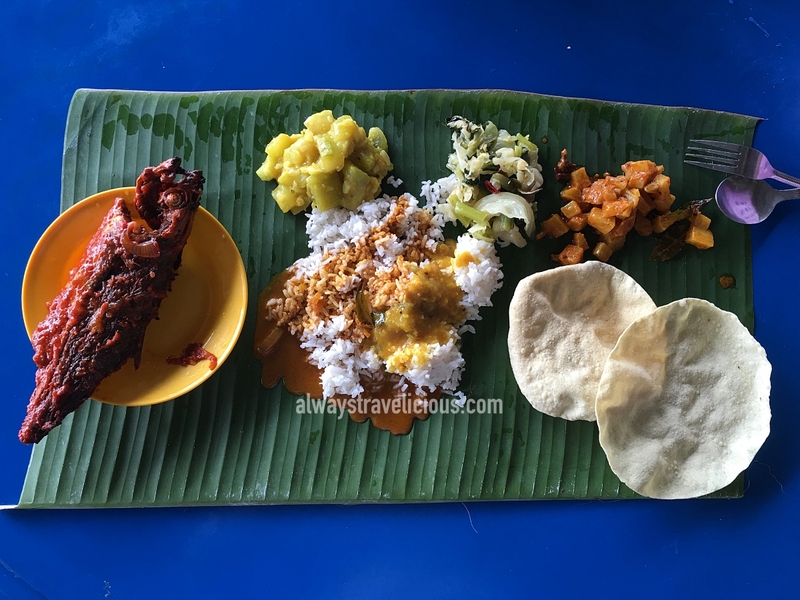 Together with teh tarik served from the same store, my banana leaf rice was at an affordable price of RM 9.50. Address : Medan Selara Stadium, Jalan Ghazali, Ipoh. Opening Hours : Lunch time. 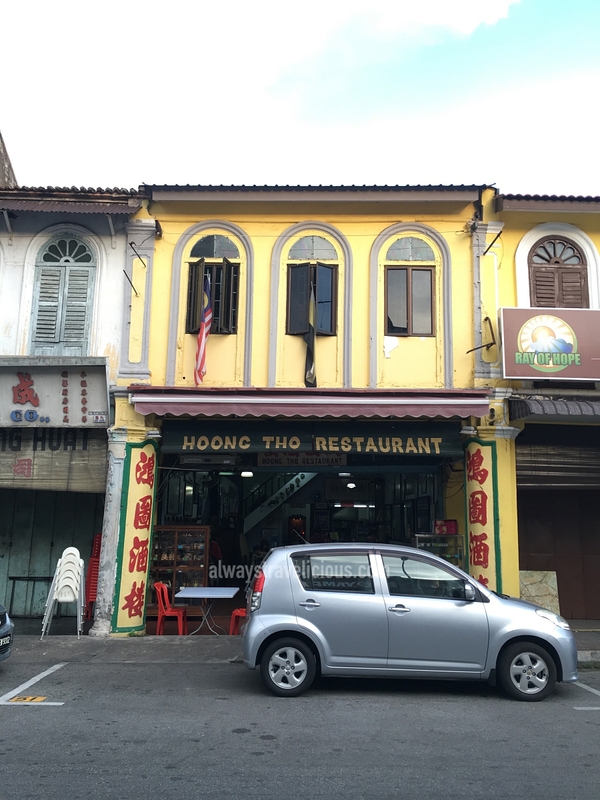 Established in the 1950’s, Hoong Too Restaurant in old town seemed to remain unchanged. Items of the yesteryear such as hardy teakwood cupboards, portraits of Sun Yat Sen, mosaic tiles on the wall and old grandfather’s clock fit in perfectly well. 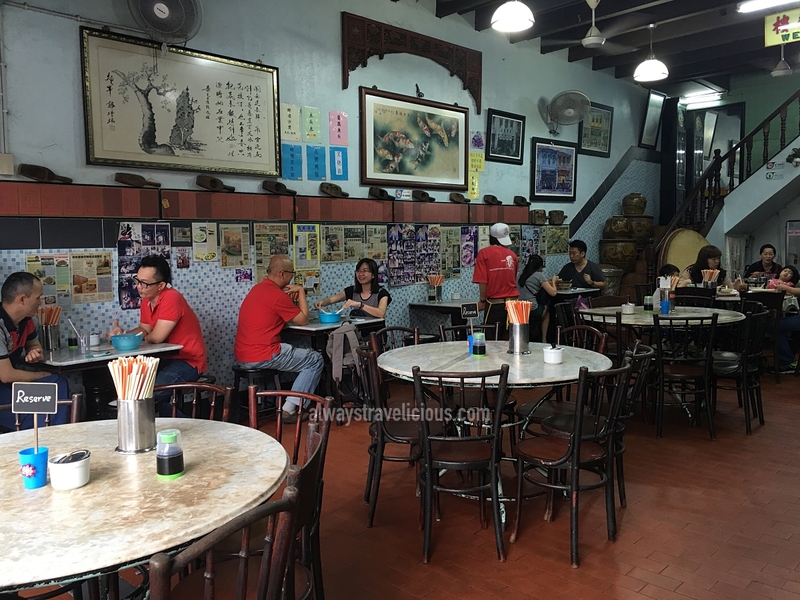 The restaurant specialises in noodle dishes such as “wah tan hor”, yee mee, while the signature dish is “Seng Har Meen”, or noodles cooked with fresh water prawns. The char siew wan tan mee is special edition that’s only available on Thursdays. 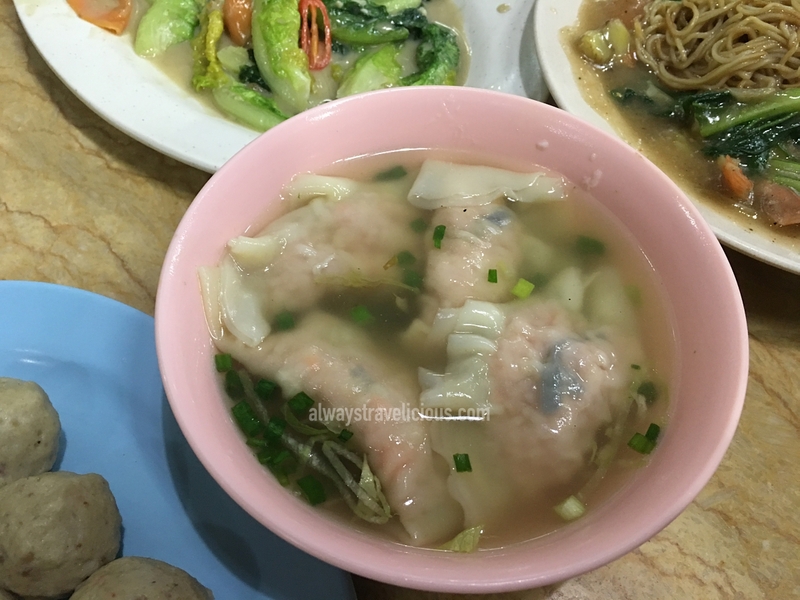 The restaurant also offers other items such as fish balls, fried dumplings and “sui kow”. Address: 20, Jalan Bandar Timah, 30000 Ipoh. 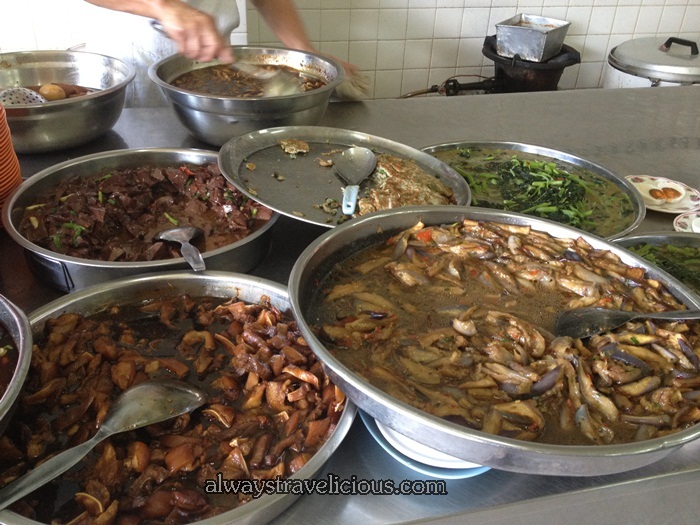 Hung Wang has been dishing out delectable home-cooked food and Teow Cheow porridge for the past 40 years. 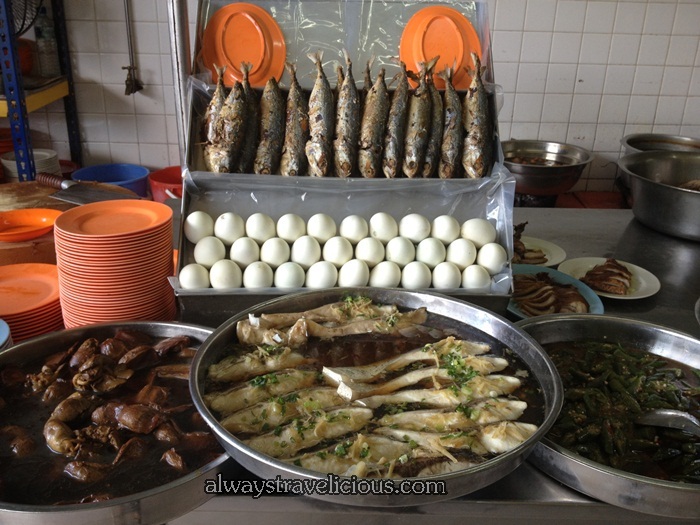 Dishes such as braised pork, egg omelettes, deep-fried-fish and various kinds of stir-fried vegetables are nothing fancy, but they are the kind simple dishes that you would crave for. 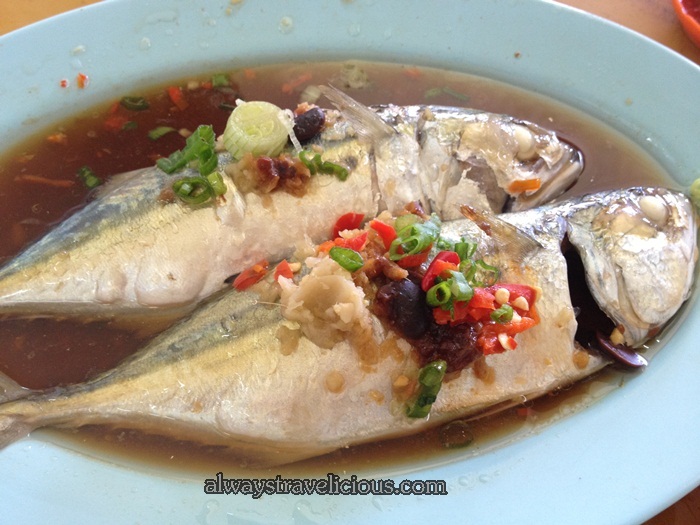 For the fish, I would recommend the steamed kampung fish – because it is always remarkbly fresh, best eaten with the fermented bean sauce provided. It’s interesting to see how the efficient family members that run the place work. They are dedicated, and each has a specific role – a few are stationed at the counter, one is dishing out porridge, while one is a “human-calculator” that calculates the cost of your meal by mental arithmetic. Address: 7 & 9 Jalan Leong Sin Nam, Ipoh. Opening Hours : 11.30 am – 4pm. Closed on Thursdays. Established in 1949, Ching Han Guan Manufacturing Co is the go-to place for locals for wedding biscuits. 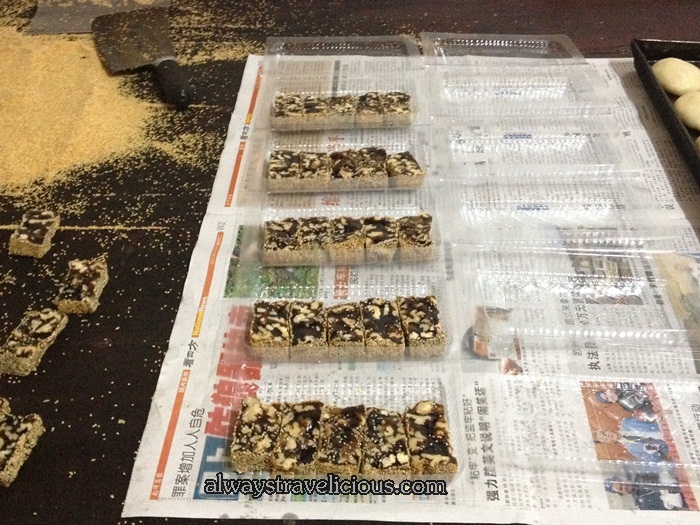 It has similarities to Guan Heong in terms of the variety of biscuits that it carry. 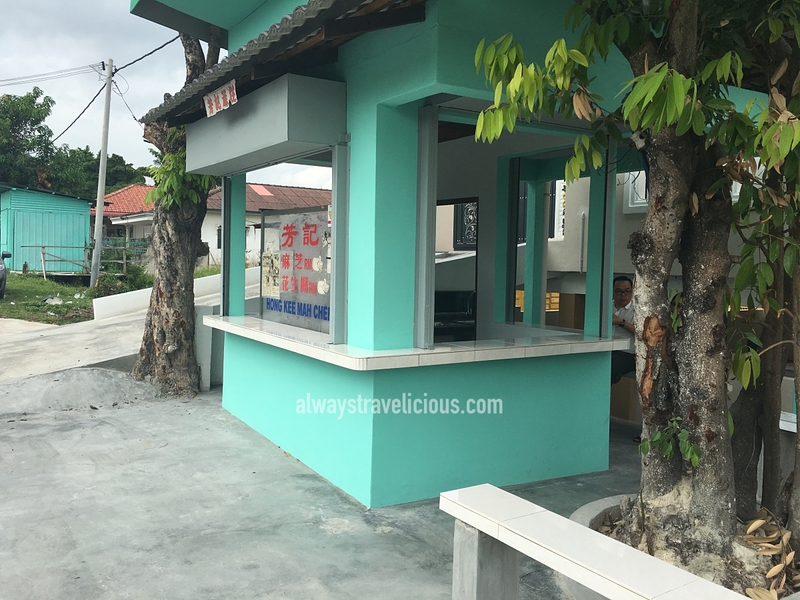 Uncle Ching that has been running the store for the past 60 years proudly recommends the walnut candy (胡桃糖), meat floss biscuits (肉絲蓮蓉餅), “hiong peah”(香餅), and cashew nut egg cookies (腰豆核桃酥) for first-timers to his store. The images below were taken a few years ago, and are perhaps the original decor of the shop. They have renovated since then and the shop now has a modern appeal, though I still prefer the old decor. See more photos of Chin Han Guan Manufacturing Co here . Operating Hours: Mon – Sat 9am -6.30pm. Sun 9am – 12,30pm. Late on lunch and reading this post is torturous! drool drool drool !Come again! It’s been a year since you came to Ipoh. Time flies !